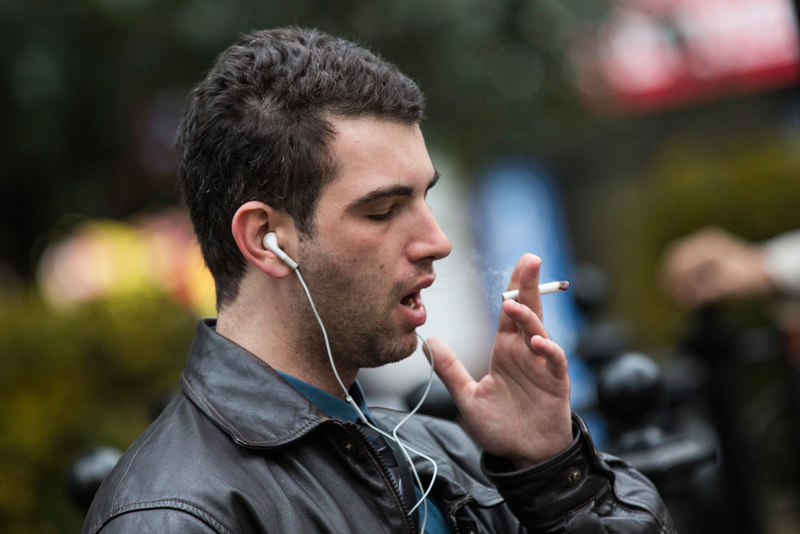 CHICAGO -- The surgeon general’s latest smoking report warns unless current tobacco use rates fall, another 5.6 million U.S. kids might die prematurely. The report, the first in more than a decade, found that smoking has killed more than 20 million Americans prematurely in the last half century. Smoking: "A health hazard of sufficient importance"
Smoking causes more deaths each year than HIV, illegal drug use, alcohol use, motor vehicle injuries and firearm-related incidents combined, according to the Centers for Disease Control and Prevention. "Enough is enough," acting Surgeon General Dr Boris Lushniak said in a telephone interview. "We need to eliminate the use of cigarettes and create a tobacco-free generation." Health risks from smoking include stroke, heart attacks, heart disease, emphysema, COPD, bronchitis, cancer (including of the lungs, mouth, nose, throat, esophagus, larynx, cervix, kidneys, pancreas and stomach), decreased fertility, premature delivery, stillbirth, sudden infant death syndrome, bone loss, gum disease and cataracts. Smoking remains the leading cause of preventable death in the United States. "Most smokers really do want to quit smoking. It's never done on the first try and what I want to do is entice people who have tried before who have failed, maybe I'll provide that scientific information, that brand new disease that touches them," Lushniak told CBS News chief medical correspondent Dr. Jon LaPook. In Friday’s new report -- which was released about 50 years after the first surgeon general's report declared smoking a human health hazard -- liver and colorectal cancers, diabetes, rheumatoid arthritis and even erectile dysfunction joined the list of smoking-related diseases. Although adult smoking rates have fallen to the current 18 percent from 43 percent of Americans in 1965, each day, more than 3,200 youths under the age 18 try their first cigarette, the report found. Lushniak is calling on businesses, state and local governments, and society as a whole, to end smoking within a generation through hard-hitting media campaigns, smoke-free air policies, tobacco taxes, unhindered access to cessation treatment and more spending by state and local governments on tobacco control. "It's not just the federal lead on this anymore," he said. "To get this done, we have to go to industry. We have to go to healthcare providers and remind them that this problem is not yet solved." The report, dubbed The Health Consequences of Smoking, 50 Years of Progress, details the growing science showing the diseases and health conditions caused by smoking since Dr Luther Terry issued the landmark report on January 11, 1964, that first confirmed smoking tobacco caused lung cancer. In that first report, only lung cancer was associated with smoking. "We're up to 13 right now -- 13 different cancers associated with smoking in 2014," Lushniak said. The new report adds liver and colorectal cancer to that list, but it also details several other conditions caused by smoking, including diabetes, rheumatoid arthritis and impaired immune function, and cleft palate in infants. And in a startling statistic, the report found that exposure to secondhand smoke increases the risk of stroke by 20 to 30 percent. "It really is astonishing that even 50 years in, we are finding new ways that tobacco maims and kills people," Dr Thomas Frieden, director of the CDC, said in a telephone interview. He said the report found that smoking costs the nation $130 billion in direct medical expenses each year. Last week, a study published in the Journal of the American Medical Association found anti-smoking measures have saved roughly 8 million U.S. lives since the 1964 report. Frieden wrote a commentary released with the study, saying the U.S. lags behind other countries in adopting proven measures to reduce tobacco use like higher taxes and putting graphic warning labels on packs. "Images of smoking in movies, television and on the Internet remain common; and cigarettes continue to be far too affordable in nearly all parts of the country," he said at the time. He calls on states to increase their investment in smoking prevention. Frieden said states get $80 per capita from tobacco companies related to a major legal settlement in 1998, in which big tobacco makers agreed to pay $206 billion to 46 states to help pay the costs of treating ailing smokers. Although the CDC recommends that states spend at least $12 per person on tobacco control, states, "actually only spend about $1.50, and it's been decreasing in recent years," Frieden said. Harold Wimmer, president and chief executive of the American Lung Association, said the new report, coming on the heels of the 50th anniversary of the landmark 1964 report, present an opportunity for renewed political commitment to ending the tobacco epidemic. "The progress of the last 50 years, including cutting smoking rates by more than half and preventing 8 million premature deaths, only came about through intense and sustained action," Wimmer said. "Only a recommitment to a heightened level of action will enable us to finish the job." Last week, the group called on political leaders to commit to cutting smoking rates to less than 10 percent of the population in a decade and to protect all Americans from secondhand smoke within five years. The report briefly touched on the increasingly controversial topic of electronic or e-cigarettes -- devices designed to deliver nicotine through vapor instead of tobacco smoke. It noted that major tobacco companies, including Altria Group Inc, best known for its Marlboro brand; Reynolds American Inc, maker of Camel cigarettes; and Lorillard Inc, maker of Newport cigarettes, have invested in the products. Previous studies have suggested that people can use the devices as smoking cessation tools, but some public health advocates worry that e-cigarettes might introduce more people to nicotine, the addicting chemical found in tobacco. Electronic devices that feature fruit and candy flavors are even more worrying, critics say, because they could introduce children to smoking. And there are still questions about the safety of the vapors released by the devices. Lushniak said there is not enough information about the long-term effects of the products, or whether their use might delay people from quitting or lead former smokers to relapse. Health groups and state attorneys general have been pressuring the FDA to impose regulations on the devices. Altria said in a statement that it supports the FDA's authority to regulate e-cigarettes as an extension of its power to regulate tobacco. "Our tobacco companies continue to focus on developing lower-risk products that appeal to adult tobacco consumers and see this as an important business opportunity under FDA regulation," the company added.